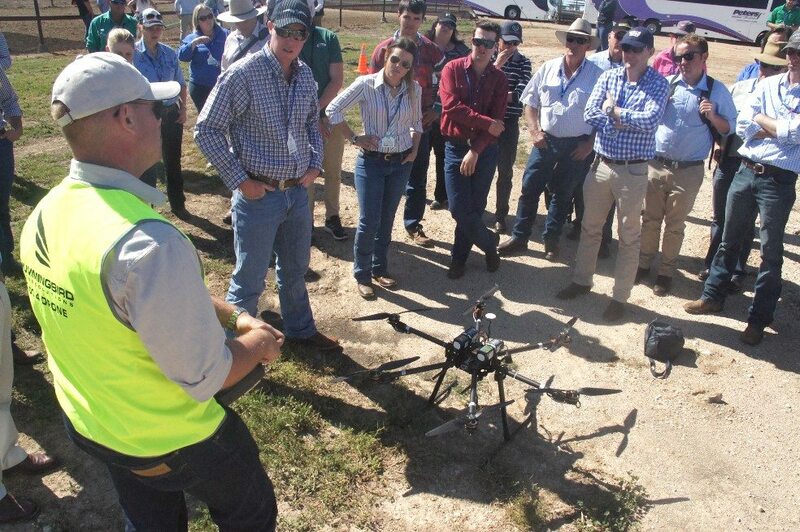 AERIAL drones are showing promising signs in feedlot field trials conducted recently, but there’s still a minefield of regulatory requirements surrounding their use that could stymie any real commercial uptake in agricultural applications for the timebeing. These were some of the key messages delivered to lotfeeders attending last week’s Beefworks industry conference in Toowoomba, where delegates heard an address from an expert, and later saw the machines in action in a feedyard. Hummingbird’s Rob Gilmour demonstrates a multi-copter used for bunk call trials at Grassdale feedlot during last week’s BeefWorks conference. 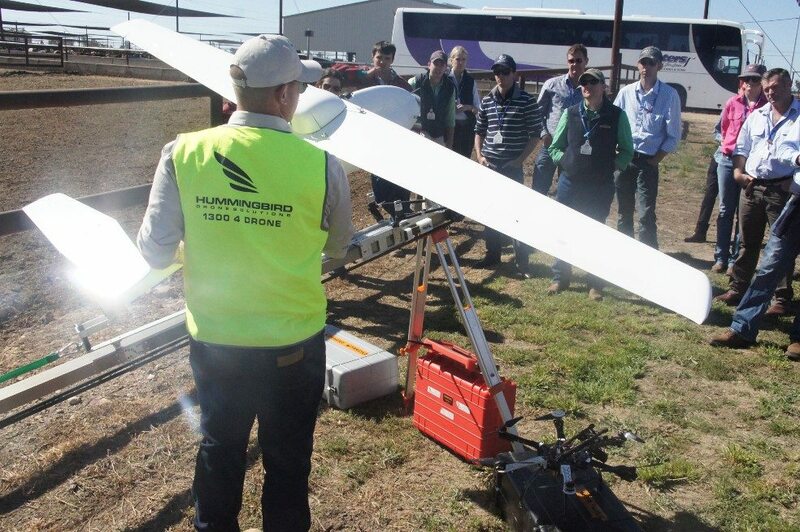 Hummingbird Drone Solutions’ Rob Gilmour provided an update on research into the use of drones that’s been done at Grassdale feedlot near Dalby over the past 12 months, and later demonstrated their use during a visit to the feedyard. Myth one: Drones in Australia can easily be used for operations such as water point monitoring/ bore runs; as well as bunk monitoring in feedlots. Current legislation governing UAV use in Australia was initially released in 2002, well before any of the current technologies were considered a reality; accordingly there are a number of sections that are now not particularly relevant, but still apply. Currently, rules stipulate that UAVs must not be flown beyond visual line-of-sight, unless the operator obtains permission to operate in this manner in an approved area for that purpose by the Civil Aviation Safety Authority. “In simple terms, this means that unless the operator can see the UAV, it can’t be flown,” Mr Gilmour said. “CASA has indicated that, in the medium-term future, Australia will see new regulations released, in which it is proposed to relieve agriculture-based operators of some (not all) of the current regulation – however what it finally dictates is yet to be decided,” Mr Gilmour said. Myth two: A drone over your property is infringing privacy/trespassing. The short answer, Mr Gilmour said, was that in most cases, it was not. While land owners’ rights extend to the airspace over their land to a ‘reasonable height’, currently, there was no clear guidance on the height that a UAV needs to be flown be considered to not be committing an act of trespass. “Based on past legal cases that have dealt with aerial photography and survey from manned aircraft along with scenic helicopter rides, the precedence has been set, that as long as the UAV is flown over private land quickly and at a height that does not detract from the land owner’s use and enjoyment of their property, there has not been a trespass to land committed,” he said. The second area to be considered was, what regulation and limitations apply to any media captured by a UAV over private property? Current Privacy legislation only applies to Commonwealth agencies and organisations with an annual turnover in excess of $3 million. For this reason, the majority of current UAV operators (both private and commercial) would not fall under the jurisdiction of the Privacy Act, Mr Gilmour said. Myth 3: Media has been portraying that applications surrounding e-commerce will be the major initial uptake within the UAV sector. “This is incorrect,” Mr Gilmour said. “Not only do the limitations regarding beyond visual line-of-sight operations inhibit this, (along with some other limitations that inhibit flight over populous areas) there are also numerous studies to contradict this argument. A Business Insider Intelligence report from earlier this year, that draws from a number of independent and government sources, has concluded that industries such as energy and utilities, mining and construction, news and media and agriculture will be the initial adopters of this technology. An independent group of analysts published a market study suggesting that UAV production is likely to grow from a current value of US$4 billion annually to US$14b annually in the next ten years. How might drones help lotfeeders, on a day-to-day basis? 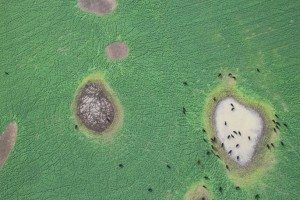 As a result of field trial work conducted at Grassdale feedlot near Dalby over the past year, Hummingbird had identified three main areas where drones may play a role in improving management. The main task under investigation using drones is in feedbunk monitoring. “Presently, the majority of lotfeeding operations using our drone have been conducting so-called ‘bunk runs’ at a given times of the day. The purpose of these runs to assess whether cattle are being over or under-fed, whether bunks need cleaning or replenishing with feed and so forth,” Mr Gilmour said. “There’s no reason why drones can’t do this work,” he said. Current system and technology levels were more than adequate to conduct such operations; however there are three major limitations – regulation, system design and weather. For fully-autonomous operations (where the drone takes off, completes a bunk run and returns, without human guidance), the main limitation is that the UAV is prohibited from being utilised beyond visual line of sight. Most multi-copter systems had a safe endurance of between 15 and 30 minutes, dependent on the battery size, wind levels and ambient temperature. An endurance of this length would be adequate for a small feedlot operation, however larger operations would struggle to complete all bunk runs in one flight, Mr Gilmour said. The S900 system in use is capable of autonomous flight and carries a high definition camera on a stabilised gimbal. It also features motor redundancy and an in-built parachute. To complete a run, the UAV was flown directly over the bunks at a height of 12-15 metres, well above the shade canopy. The distance of one run at Grassdale, along one laneway in the trials was 650 metres, taking less than a minute to complete. During the flight the camera gathers still images like the one published here, then uses readably available processing software to stitch the individual images together. 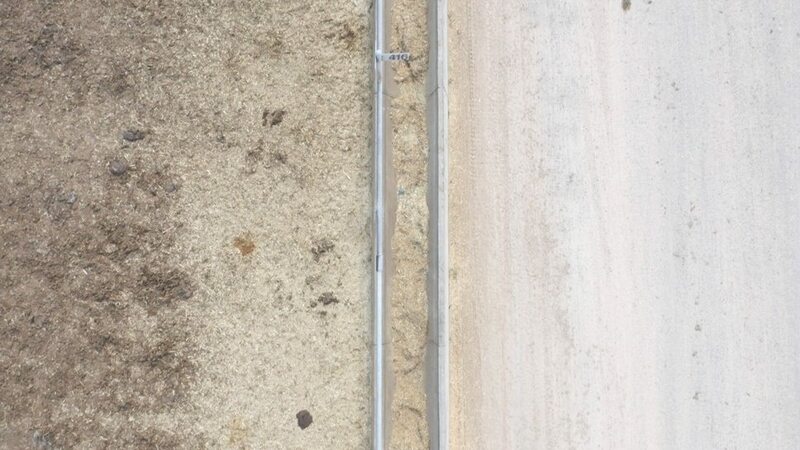 This same software triangulates distances from the camera to the ‘ground’; in turn this generates a 3D model that can be used to compare the feed depth in the bunk to a known base figure. The software can calculate the volume of the bunk area within the image. Asked about the impact the passing drone had on cattle in the pens, Mr Gilmour said they will often look up and move to the other end of the pen. “But they are moving calmly, and certainly not bolting,” he said. 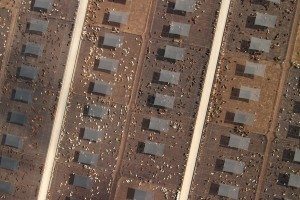 A cost analysis showed, that a $200 000 investment in ‘top of the range’ UAV technology, which would be a reasonable estimate for a 10,000 head feedlot operation, had be potential to be cost-positive within 12 months of implementation. 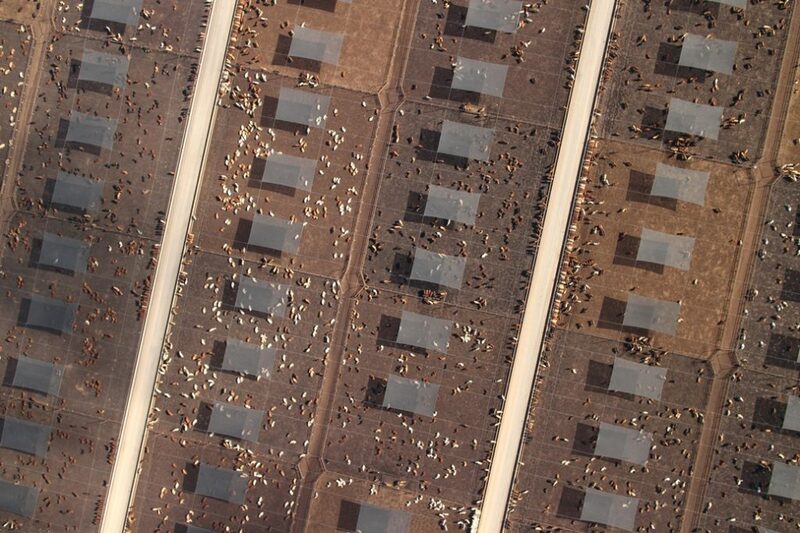 To complete this task, a UAV overflies the feedlot at a height of about 200 feet above the ground. A high definition camera in the base of the UAV captures images, which are then used to identify the number of head in each pen, or selected area. All stock can be clearly seen for a head-count – even those located beneath ‘semi-opaque’ shade sails (see image) . This application has also been applied in open paddock situations, such as the image below captured over an oats crop in South-West Queensland, once again showing, clearly the number (and location) of the stock. Another application that has been explored is in using UAV’s for moving cattle around a feedlot. Helicopters and fixed wing aircraft have been used for similar purposes in extensive grazing applications for decades, and in the same sense, a UAV might be used in a feedlot to move cattle from the pen into a laneway, or from a laneway to the yards. Trials had shown it was quite possible to push cattle along a fenceline, or through a gateway using a UAV. “From experience to date in trials this is extremely effective, as even when a UAV has overflown the bunks at 12+ metres, animals will move to the opposite end of the pen. It should be acknowledged that over time, if an animal is be subject to a UAV on a regular basis, it would become desensitised, however with the addition of a siren or an appropriate noise-generating device, coupled with a closer operating range to the cattle, the use of UAVs for moving cattle around a feedlot is still effective,” Mr Gilmour said. Aside from the applications discussed above, Mr Gilmour raised the prospect of others, including reading RFID chips in ear tags (RFID technology were now at a point where they could be read up to 20 metres away) , through to dispersing predatory wasps to aid with controlling fly populations in feedlots. Such applications had already been made spreading beneficial inspects through Integrated Pest Management in horticultural crops, with excellent results. Beef Central asked Mr Gilmour what prospect there was to use ‘repeater’ stations, to extend the range of the UAV’s avionics, in applications where bigger distances were involved. Some fixed-wing UAVs now had an effective operating range of up to 150km, he said. Mr Gilmour said there was a large-scale pastoral operation in South Australia that had received ‘non line of sight’ operations approval, which was using drones to monitor tanks, troughs and bores across the property, that were beyond the range of conventional radio telemetry monitoring systems. “That (fixed wing) UAV system will go out once a day, at quite a height, and read each of the sensors on the watering points,” he said. But such exemptions over ‘line of sight’ operations were not at all common yet. We are interested in buying some drones for cow control purpose .